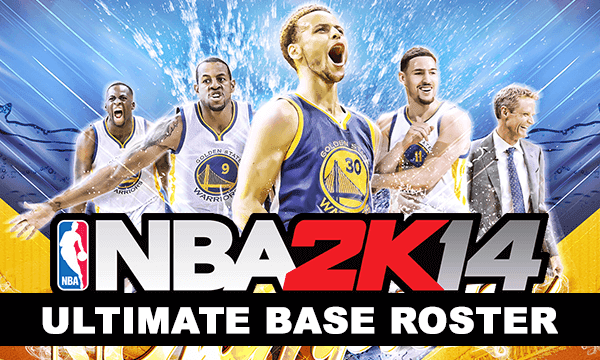 Ultimate Base Roster is a full expansion mod for NBA 2K14 PC. It allows you to play almost 300 teams from 60 different NBA seasons from the 70's all the way through the present. Current roster is accurate as of July 15, 2015. More updates are likely to come as more transactions gets underway before the the 2015-16 NBA preseason begins. Read the changelog to see all the newest updates! - Added UBR VFA July 15.ros - this roster file is the current roster with all UNRESTRICTED free agents in the FA pool. Signings are also up to date with the latest ones. - The Ultimate Base Roster was extended to a 10th Download Part. Please read directions carefully as you will need to download Part 8 one last time. Part 9 and Part 10 will be the new download parts for future updates. - Note: In order to play a retro season with the correct calendar/schedule make sure you scroll to "REAL 82" at the beginning of the association/season mode screen when it asks you for "Season Length". - Added updated version of the Ultimate Base Roster & UBR Association Files with current transactions, signings, and coaching moves (8/12/14). Includes trade between Cavs and Twolves - Kevin Love for Andrew Wiggins. - Added ~85 new retro cyberfaces, many of which were added to supplement the 1990's with year specific/younger versions of players. Special thanks to RayHoops, as many of these new CFs are from his 1995 College Hoops Mod! 32-bit: "C:\Program Files\2K Sports\NBA 2K14"
64-bit: "C:\Program Files (x86)\2K Sports\NBA 2K14"
64-bit "C:\Program Files (x86)\Steam\steamapps\common\NBA 2K14"
It's important that you click “yes” when it asks you to overwrite files. This mod does not overwrite any pertinent Official 2K content. You can still use your game just as you used it before. If you say “no” when it asks you to overwrite, you will encounter problems with missing courts, cyberfaces, jerseys, etc. Step 2. Copy the rosters (.ROS), draft classes (.FDC), and settings (.STG) files into your Saves folder. You can access the NBA 2K14 Saves folder by typing %AppData% in Windows Start Menu search box or RUN dialog box (Windows key + R), press Enter then open 2K Sports > NBA 2K14 > Saves. Step 3. Start NBA 2K14, then go to the save/load from the game menu and load the roster you want to play with. Q: Will installing the Ultimate Base Roster (UBR) overwrite anything? A: No, UBR does not overwrite any game content. You're asked to overwrite files when installing because the mod utilizes some hidden content in the game and has to tweak those files to make them work properly. When you click "yes" to overwrite files you are just adding fixes/upgrades (like black arm fixes, added portraits etc) to the official files. Q: Does this mod work for Xbox 360, PS3, Xbox One, or PS4? A: No. 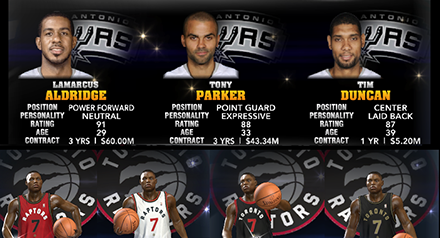 This is ONLY for the PC version of 2K14. Q: Do I need to download all 7 parts? Q: What happens if I don't download/install all 7 parts? A: You will get many players without cyberfaces and headless players with white arms. You will get courts that show up all black. You will experience crashes. Q: Are the regular teams updated? A: UBR and Association rosters are always currently updated - check the download link to see when the last roster update was made. Q: Is there a way to JUST download the current rosters with rookies without downloading all the retro stuff? A: NO. If you don't download all the parts the following will happen: you will get many players without cyberfaces and headless players with white arms. You will get courts that show up all black. You will experience crashes. 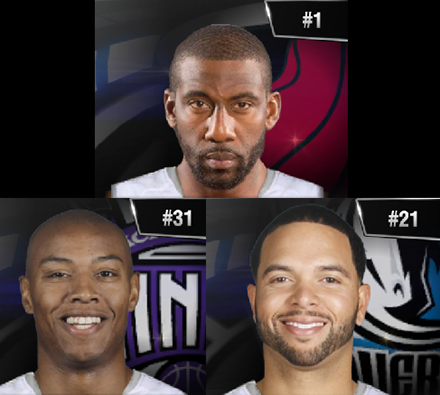 Q: Does this roster have all the new rookie cyberfaces? A: Yes ALL of the rookies are in the roster, ALL of the rookies have cyberfaces, and ALL of the rookies have portraits. If they are now showing up for you it is because you haven't downloaded and installed ALL of the download parts. You must have all of the download parts installed (yes all of them). Remember, once you download and install Parts 1-5 one time you never have to download them again. Updates are made to Part 6 and Part 7 for each new version. This may also be caused by installing the files to the wrong folder. Extract all the files into your 2Kfolder except the .ROS file, which should go to your saves folder. Q: When I play an association why do the standings say teams are "0-0" even though I'm playing games? A: This ONLY happens in the Ultimate Base Roster.ros after season 1. If you want to play multiple seasons of association mode all you need to do is use the UBR Association.ros file. Q: Why do I see headless players with white arms/white jerseys? A: This is caused by installing the files to the wrong folder. Extract all the files into your NBA 2K14 game directory folder (Computer > Local Disk > Program Files > 2K Sports > NBA 2K14). Q: Why do some retro teams at the Quick Play screen have really low overall ratings? A: Just ignore the overall ratings at the Quick Play screen. All the right players are still on the team with correct ratings. This doesn't affect game play. Q: Why is it when I scroll into the rotation menu the retro team minutes are scrambled. A: The reason for this is because some players are mirrored onto the All-Time Teams. Just don’t scroll into the rotation menus for any year-specific team. You can change your lineup if you would like at the quick start menu or in the game making substitutions. This allows you to scroll into the All-Time Teams to make changes without the annoying pop up always coming up. Players still start the game correctly and substitutions are minimally affected. Q: Why doesn't MyCareer mode work well? A: MyCareer does not work well for all modded rosters. I've been told that renaming the custom roster you want to load to "Roster.ROS" and starting a new MyCareer does the trick. Q: I'm trying to customize my association season length to something other than 82 games with the Ultimate Base Roster and it keeps crashing. A: Only 82 game season length is supported when using the Ultimate Base Roster, however, If you use the UBR Association.ROS file it will work just fine. NOTE: If this is your first time installing UBR, then you need to download ALL parts and install them in order (part 1 to 11). More alternate links to be added soon. Download Links: You can choose between Mediafire, Gamefront or Gavitex. The date beside every link indicates when it was last updated. After you download and install Part 1 to Part 9 you never have to download them again. For every NEW version update, you must re-download Part 10 and Part 11. Please refer to the .PDF file included in each package for a detailed instructions on how to install Ultimate Base Roster mod for NBA 2K14 PC.